Iran's new President Hassan Rouhani has said that his country would never build nuclear weapons. 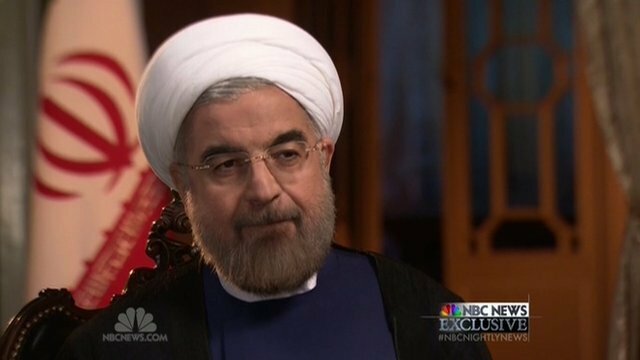 Mr Rouhani also told US broadcaster NBC he had full authority to negotiate with the West over Tehran's controversial uranium enrichment programme. And he described a recent letter sent to him by US President Barack Obama as "positive and constructive". Earlier, Iran freed noted human rights lawyer Nasrin Sotoudeh and reportedly released 10 other political prisoners. The 10 other detainees - seven women and three men - are said to include reformist politician Mohsen Aminzadeh. In his election campaign earlier this year, Mr Rouhani promised to free political prisoners. He also pledged a more moderate and open approach in international affairs. He is due to visit New York next week for a meeting of the UN General Assembly.